The International School of Nuclear Law (ISNL) is a two-week course which has been designed to provide participants with a comprehensive understanding of the various legal issues relating to the safe, efficient and secure use of nuclear energy. To date, the ISNL has provided a unique educational opportunity to more than 800 graduate students and young professionals worldwide. The next session of the ISNL will take place from 21 August to 1 September 2017 in Montpellier, France. Applications may be submitted online until 31 March 2017. For more information on the course and to apply, see: oe.cd/ISNL. In recent years, in both the radiological protection and radioactive waste management communities, interest has been building around the subject of how to effectively manage non‑nuclear radioactive waste. All NEA member countries, including those that do not have nuclear power plants, have to manage radioactive waste generated by activities unrelated to the production of nuclear energy, including national laboratory and university research activities; used and lost industrial gauges and radiography sources; and nuclear medicine activities at hospitals. Although much of this waste is not long‑lived, the variety of the sources makes any general assessment of physical or radiological characteristics difficult. The relatively source‑specific nature of the waste poses questions and challenges for its management at a national level, both in regulatory and practical terms. The NEA will organise a workshop to examine the management of radioactive waste generated by non-nuclear activities and to address some of the key concerns of this challenging topic. The workshop is scheduled to take place on 2-4 May 2017 in Legnaro, Italy, and will be hosted by the Italian Institute of Nuclear Physics (INFN) Legnaro National Laboratories (LNL). For more information and to register, visit oe.cd/1Ot. On 6 February 2017, the NEA Expert Group on Operational Safety (EGOS) held a technical meeting to discuss the development of an international operational hazard list for managing hazardous events at operational geological repositories for radioactive waste. Participating members discussed the credible hazards considered in various national programmes and their associated risks, risk assessment techniques and risk management in safety assessments. Recognising the practicality and value of an international hazard list, particularly in ensuring the completeness of safety assessments of geological disposal, the expert group will begin to work on compiling the specific hazards identified in individual national programmes. On 21-22 February 2017, the NEA Expert Group on Inventorying and Reporting Methodology (EGIRM) held a meeting with experts representing Belgium, Canada, Germany, Italy, Russia and the United States, as well as the International Atomic Energy Agency (IAEA), the World Nuclear Association (WNA) and the European Nuclear Safety Regulators Group (ENSREG). Participants discussed a draft report on methodology development, which compiles the expert group's work, and agreed on its submission to the NEA Radioactive Waste Management Committee (RWMC) for approval. The draft report is expected to be issued in 2017 and contains a finalised methodology and a presentation table developed to compare different national radioactive waste and spent fuel inventories. Compiling safety cases for geological repositories is a highly technical undertaking. Reviewing such safety cases is equally challenging and often requires knowledge and experience in different disciplines. 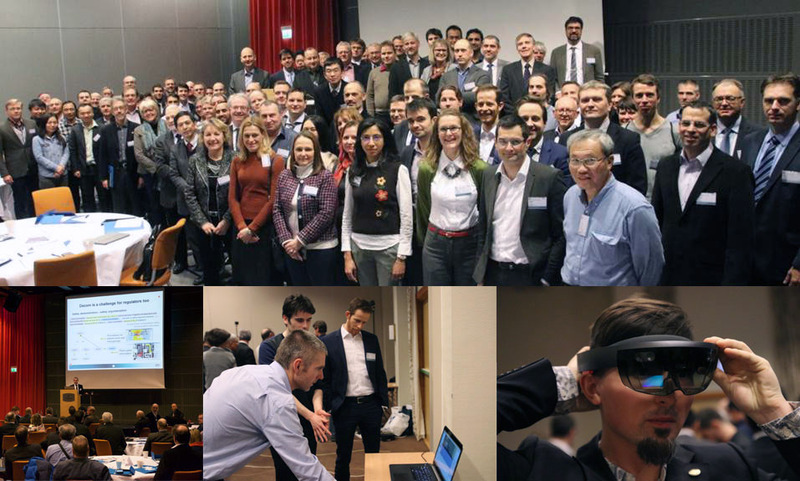 Recognising the potential benefits of a common regulatory review approach for safety cases, as well as the need to improve the understanding of stakeholder interactions, the NEA Integration Group for the Safety Case (IGSC), the European Pilot Study Group and the European Commission Sustainable Network of Technical Expertise (SITEX) jointly organised a workshop on 21‑22 February 2017 in Paris, France, to explore the subject of regulatory reviews and communication of safety cases for geological disposal of radioactive waste. Participants noted that divergent views are unavoidable and that successful communication relies on mutual efforts. Radioactive waste managers and regulatory authorities should develop a working method, without compromising their independence, to consolidate and to co-ordinate stakeholder participation and access to information. Optimising the management of materials and waste resulting from decommissioning takes into consideration various aspects relating to safety, enabling infrastructure, strategy and planning, public acceptance and characterisation, and considers economic aspects throughout. Waste minimisation plays an important role in most national approaches, but is not necessarily the main objective of related activities. 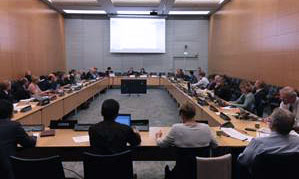 On 21‑23 February 2017, the NEA Task Group on Optimising Management of Low-level Radioactive Materials and Waste from Decommissioning (TGOM) held its first meeting. The group aims to analyse how different countries manage the low‑level and very low‑level radioactive waste arising from their decommissioning activities, covering all the steps included in materials and waste management from generation during dismantling to disposal. The group's work will identify measures leading to optimisation in national approaches and highlight key drivers and constraints. Observations, examples and recommendations will be summarised in a final report, which is intended to serve as guidance for policy and decision makers, as well as for regulators. The sixth session of the NEA International Nuclear Law Essentials (INLE) course was held on 20-24 February 2017 with a diverse international group of professionals from 13 NEA member and non-member countries to learn more about the international nuclear law framework, as well as the major issues affecting the peaceful uses of nuclear energy. A total of 23 lecturers from the NEA, nuclear regulatory authorities and the private sector presented a series of master lectures on topics related to nuclear safety, security, non-proliferation and liability. NEA Director-General William D. Magwood, IV, and Commissioner Stephen G. Burns of the US Nuclear Regulatory Commission (NRC) were both among the lecturers who spoke during the week. Read more about the INLE at oe.cd/INLE. 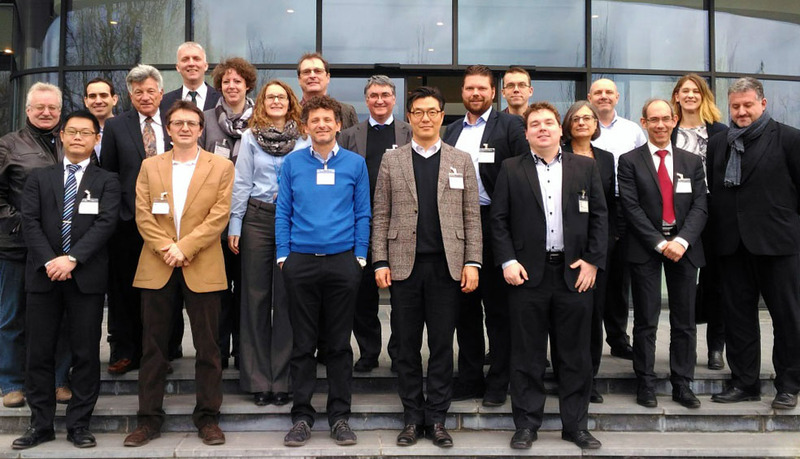 The NEA Working Party on Scientific Issues of the Fuel Cycle (WPFC) held its annual meeting on 8 February 2017 to review the status and progress of activities in each of its six expert groups. Participants at the meeting discussed the expert group activities finalised over the last year, the new tasks being undertaken and the reports that are planned to be issued in 2017. They also noted the recent workshops organised by the WPFC, including the NEA International Workshop on Structural Materials for Innovative Nuclear Systems (SMINS-4) and the Third International Workshop on Technology and Components of Accelerator-Driven Systems (TCADS-3), as well as the 14th Information Exchange Meeting on Actinide and Fission Product Partitioning and Transmutation. Another key highlight of the meeting was the discussion on the possibility of organising a WPFC workshop to encourage cross‑cutting activities and studies across the NEA. On 13-16 February 2017, the NEA Working Party on Scientific Issues of Reactor Systems (WPRS) held its annual meeting and associated expert group meetings with over 60 experts from 16 countries. The WPRS conducts studies on the reactor physics of advanced nuclear systems, reactor fuel performance, radiation transport and shielding, and uncertainty analysis in the modelling of power systems, focusing on light water reactor (LWR) transients. At this meeting, participating experts reported on and discussed ongoing activities and the status of the integral experiment handbook and databases maintained by the WPRS, including the International Reactor Physics Experiment Evaluation (IRPhE) Project, the International Fuel Performance Experiments database (IFPE) and the Shielding Integral Benchmark Archive and Database (SINBAD). Other highlights of the meetings included a proposal for closer collaboration with experts in fuel modelling in the field of uncertainty analysis for LWR transients and a proposal to establish a new benchmark for uncertainty analysis of sodium-cooled fast reactors.